Over the past few years, we have seen a number of media publications, right from Wired to the Wall Street Journal, report different perspectives on the imminent death of the web. However, a lot has changed since then. Early this year, Google announced that over 1Billion users access Chrome browser on their mobile devices every month compared to 400 Million monthly active mobile users in 2015. This clearly depicts a tremendous growth in the mobile web audience. According to a recent comScore report that digs a little deeper into the reach of the web, mobile browser audiences are two times larger than app audiences across the top 50 mobile properties and have grown at a slightly faster rate of 1.2x, over the past three years. If you already have a mobile website and an app in place, then analyzing your overall mobile web traffic and breaking it down into web and app segments will point to similar results. And one of the primary reasons why mobile browsers drive more traffic than apps is that consumers today are highly selective about the apps that they download. Thus, as the market for apps continues to grow — it will become harder for users to juggle apps on their mobile devices and will become harder for you to grab the attention of your target user with a new app. This is where Progressive Web Apps come into the picture. So, what are Progressive Web Apps? Progressive Web Apps (PWA) were first introduced by Alex Russell, a Google engineer, in June 2015. They are next-generation apps that stream to a customer’s device and are fully indexed by search. To put it in a nutshell, Progressive Web Apps generally start out as tabs in Chrome and progressively become more “app” like, as users begin to access them more and more. Thus, they blur the the line between web content and apps, while holding on strongly to the strengths of the web. Progressive Web Apps also allow you to send push notifications to users to keep them informed about any new content that has arrived. It also enables users to add an icon to their phone’s home screen, thus allowing them to rapidly revisit the service. Adding on to that, Progressive Web Apps load instantly, and use a background processing technology called Service Workers to pre-load page layouts to provide near instantaneous transitions. This means that when a user visits the web app a second time, it will load faster. A good example of this would be how the Washington Post’s PWA has leveraged this technology. Users are allowed to copy the site’s homepage to their homescreen and open it like an app. Thus, it allows people to interact with it like an app without the hassle of downloading it. Now, for those of you who have already heard about Android Instant Apps, this concept of interacting with an app without having to download it, might sound familiar. Introduced at Google I/O 2016, Android Instant Apps makes it possible for apps to launch immediately on a user’s device without he/she having to first locate the app on Google Play Store and then install it. However, while Progressive Web Apps and Android Instant Apps sound very similar, they are two very different approaches. Lets first take a look at progressive web apps – these apps use standard HTML5 components to provide users with a website that has the UX of a native app. These apps leverage HTML5 service workers to cache the basic functionality of the app offline in the local storage. This way, if a user happens to visit a PWA twice, the browser prompts the user asking is he or she would like to add the PWA to his/her home screen. Once he/she adds a PWA to his/her homescreen, the app will get cached. This provides him/her with a direct link to the app from their home screen. On the other hand, Android Instant Apps allows users to download those parts of the app that are needed to access certain features on the fly, without them having to install the app. For example, say a user is looking to purchase a new laptop and one of his/her friends sends him/her a link to an online store with a good offer. Now, say this online store provides an Android Instant App. The user can merely click on the link provided by his/ her friend to access the app of the online store on the fly, without having to download it. Now, say he/she likes the offer. In the case of a browser, he/she would be required to login to the payment method of his/her choice to make transactions. However, since he/she is using an Android Instant App in this case, he/she can easily access all linked accounts on his/her device – to put it in other words, he/she could simply make a payment via Android Pay (without having to type in the details). Since they use HTML5 components they are more or less platform independent. Currently only Firefox, Chrome, Opera, Android Browser and Chrome for Android supporting service workers. Thus, while PWA will work perfectly well with all these browsers they won’t work with other browsers like IE, for example. They only work on Chrome browser for Android as of now. They will run on any Android device as long as it has a compatible browser app installed. They will run on any Android device that runs on Android version 4.1 or higher. How are Progressive Web Apps better than Native Apps? It is no secret that the web has a wider audience reach while apps dominate when it comes to user engagement. But with Progressive Web Apps, Google has seen engagement levels of websites come pretty close to that of native apps. A good example of this how Flipkart, India’s largest e-commerce site, decided to combine their web presence and native app into a Progressive Web Application. Back in 2015, Flipkart adopted an app-only strategy and temporarily shut down their mobile website as they found it really hard to provide their users with a user experience that was as fast and engaging as that of their mobile app. Particularly, because majority of the Indian audience still used rather slow 2G networks. But then, Flipkart decided to rethink their development approach with PWA. As a result, 67 percent of the traffic to its web app began to come from from 2G networks, and users spent an average of three-and-a-half minutes on the web app with each visit, as opposed to 70 seconds with its previous webpage. Adding on to that, the company saw a 70% increase in conversions after the roll out of its web app called Flipkart Lite. Here is a video that demonstrates FlipKart Lite. 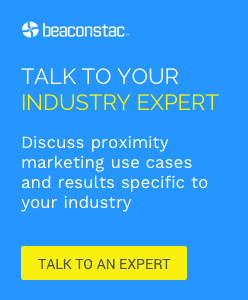 What do Progressive Web Apps mean for beacons? Well, if you are someone who has been following news in the beacon world closely, you would know that Eddystone beacons allow businesses to interact with their consumers via URLs on the Chrome browser in both Android and iOS devices. In the long run, this kind of capability could play a role in driving consumers to use more engaging, Progressive Web Apps. Retailers could leverage the push notification capabilities of Eddystone beacons to drive consumers to Progressive Web Apps. Currently Google is working on an Eddystone upgrade that will allow a website opened from a Physical Web notification, to communicate with the beacon that advertised its URL, with ease. Thus, if you are a business looking to leverage beacons but have been held back because you don’t have an app in place or you don’t have an app with a good number of downloads, then you should probably head the Progressive Web Apps way. With their ability to scan for Bluetooth Low Energy (BLE) signals, these apps could be used in association with beacons to push web notifications. 1. Frictionless shopping experience – Like we said earlier, Progressive Web Apps allow users to access apps without having to download them. This allows you to offer your customers a more frictionless shopping experience that allows shoppers to search, buy, and checkout quickly. Further it also allows you to bring app-like experiences to mobile websites, including personalization and targeted offers. 2. Faster mobile experience – Websites built with Progressive Web App technology are significantly faster. Unlike traditional websites, they are made for both mobile and speed. This allows a shopper to buy a product in just a few quick taps. Also, these websites enable an offline mode, that allows customers to continue browsing in poor wireless reception areas (for example, while they are on public transit). Given the fact that, faster websites have higher conversion rates, websites built with Progressive Web App technology could result in increased revenue. 3. Personalized Push Notifications – Progressive Web Apps integrate push notifications into web browsers. These notifications can be used to interact effectively with your mobile customers, as these notifications are native to the mobile device and can be personal and timely. Thus, Progressive Web Apps allow businesses to elevate the customer experience while making it easy to create personalized, tailored marketing campaigns based on a customer’s behaviour and location.